The Real All Americans is Sally Jenkins’ sweeping nonfiction account of two coinciding chapters in American history: Just as the Western frontier was closing, football “jumped up out of the mud” to replace it in the national psyche. Jenkins’ tale takes readers from a real battle in 1866 to a football contest in 1912, pitting the Carlisle Indians against West Point. “Football,” says the veteran sportswriter, “became a substitute for war,” and in its earliest days the game, like the real thing, could be mortally dangerous. Background – Aaron Huey’s effort to photograph poverty in America led him to the Pine Ridge Indian Reservation, where the struggle of the native Lakota people — appalling, and largely ignored — compelled him to refocus. Five years of work later, his haunting photos intertwine with a shocking history lesson in this bold, courageous talk. 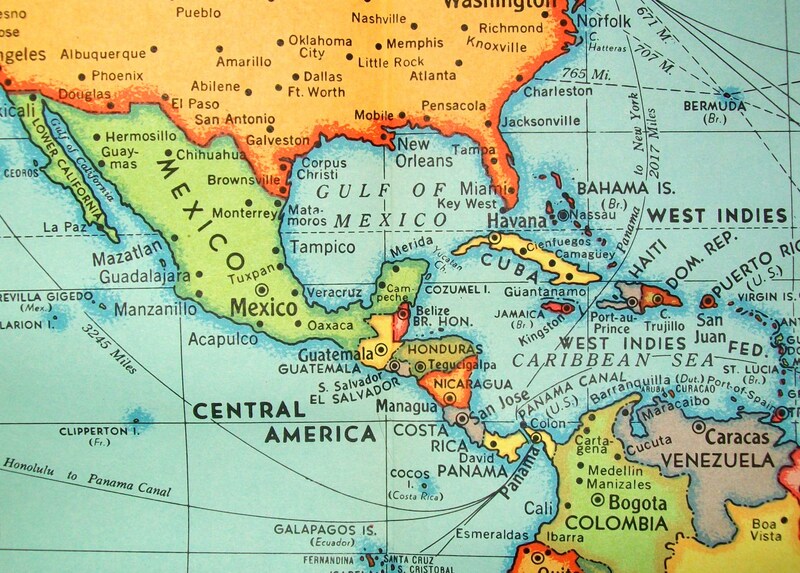 “A continent divided, a world united” The United States now has a two sea navy. Mahan vision of a stronger navy to protect American interests and commerce comes just in time for the start of World War. 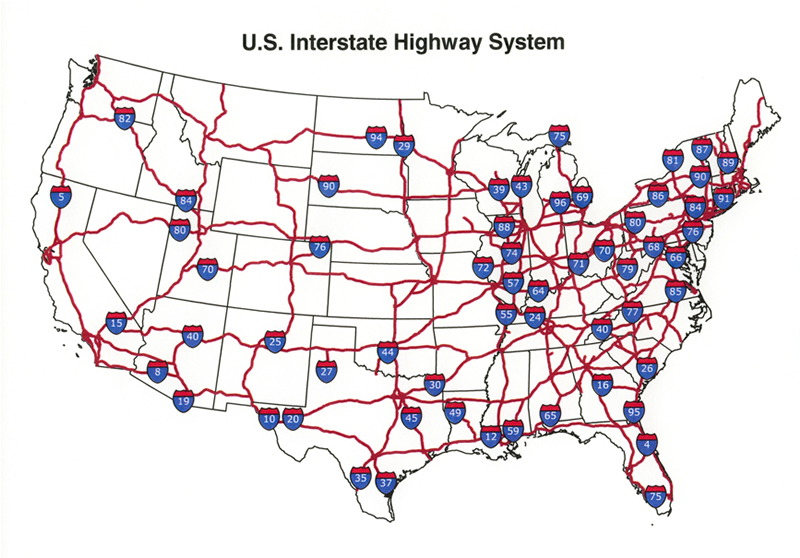 Popularly known as the National Interstate and Defense Highways Act massive interstate highway building (41, 000 miles) contributes to suburbanization. The prophet of the transcontinental railroad did not live to see it built. Theodore Judah was known as “Crazy Judah” because of his single-minded passion for driving a railroad through the Sierra Nevada mountains. His advocacy and enthusiasm for the project in California and in Washington, D.C., made possible America’s first transcontinental route. Judah constructed the first railroad in California, helped organize the Central Pacific Railroad Co., surveyed routes across the Sierra Nevada, and served as the railroad’s agent in Washington, D.C. Yet his scouting, surveying, lobbying, and fundraising efforts defined the route and prepared the way for the technology that would unite a nation. Theodore Judah and the American railroad matured together. He was born in 1826 in Bridgeport, Connecticut. 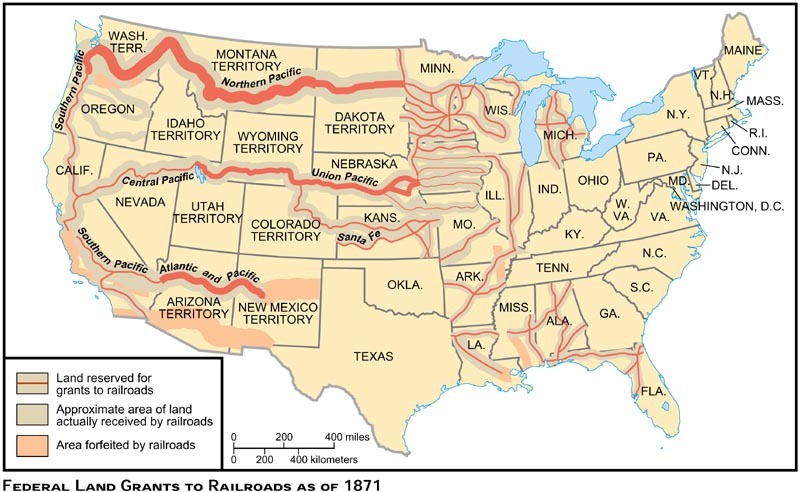 In 1830, America had just 23 miles of track, but the railroad businesswas about to explode. As a boy Judah studied civil engineering. By 18 he was a railroad surveyor, giving himself a practical education in technology not even two decades old. Engineers were in high demand in the late 1840s, as tracks spread across the countryside like creeping vines. Judah’s enthusiasm earned him the nickname “Crazy Judah,” but by 1856 he and his men had built the Sacramento Valley Line, the first railroad west of the Missouri River. The following year he published a pamphlet, “A Practical Plan for Building the Pacific Railroad,” reviewing engineering problems and painting visions of a nation united by tracks — and commerce — from coast to coast. Such a railroad had been discussed for decades — but the financing and engineering obstacles were formidable. Nominated by California’s 1859 Pacific Railroad Convention, Judah traveled to Washington for a crash course in lobbying. He returned having argued persuasively for transcontinental train travel. But he realized he would have to define a practical route and find private financial backing. By October 1861, he had both: a route over the Donner Pass in the Sierra Nevada, and a group of California businessmen as partners. Soon after President Abraham Lincoln signed the Pacific Railroad Act in 1862, tensions mounted between Judah and his business associates. He decided to find new partners in New York — but he got sick during the journey, and died soon after his arrival on the east coast in late 1863. Judah’s partners, known as the Big Four — Collis Huntington, Charles Crocker, Mark Hopkins, and Leland Stanford — would reap the rewards of the project Judah set in motion. When it was completed in 1869, the transcontinental railroad made the nation smaller, fostered trade, and improved frontier life. Stephen E. Ambrose tells the story of the men who linked the East and West coasts. 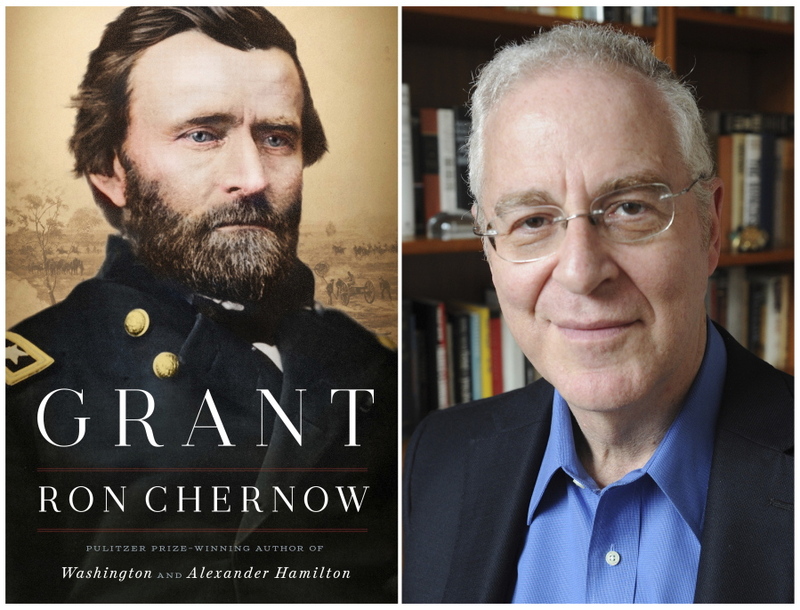 Ron Chernow’s history lesson on Hamilton went to Broadway—now he takes up President Ulysses S. Grant. We’ll talk about presidents past and present. Many of you have probably used the remarkable letter of a former slave by the name of Jourdan Anderson sent a letter to his former master. The roughly 800-word letter, which was a crafty response to a missive from Colonel P.H. Anderson, Jourdan’s former master back in Big Spring, Tennessee. Apparently, Col. Anderson had written Jourdan asking him to come on back to the big house to work. I created the timeline below from internet resources to set the historical context for my students. 1825 – Jourdan Anderson is born in December, some place in Tennessee. 1844 – Patrick Henry Anderson (age 21) married Mary A. McGregor. She brought with her at least two servants, Amanda McGregor (age 15) and her mother, Priscilla McGregor (age 43). Patrick took several of his father’s slaves to his new home, including Jourdon. 1848 – Jourdan (age 23) married Amanda McGregor (age 19), Over 52 years of marriage theuy will have 11 children. The children born in Tennessee “seem” to have been Matilda, Catherine, Mildred (known as Milly) circa 1848, Jane circa 1851 and Felix Grundy, born on March 14, 1859. I use the word “seem” because there are no concrete records that prove Matilda and Catherine were Jourdon and Amanda’s children. 1861 – April 12th Confederate artillery fired on the Union garrison at Fort Sumter marking the start of the Civil War ; June 8th Tennessee became the last state to secede from the Union. When the Civil War began in 1861, Jordan’s life changed very little and he still continued to dutifully work the plantation for his master with his wife. Upon being granted his freedom, Jordan immediately left the plantation which angered P.H. Anderson’s son Henry (age 18) to such an extent that he shot at Jordan as he was leaving, only ceasing to fire when a neighbor, George Carter, grabbed Henry’s pistol from him. Reportedly, Henry vowed to kill Jordan if he ever set foot on his property again. 1865 – Following his departure from the plantation, Jordan worked briefly in a Nashville field hospital, becoming close friends with a surgeon called Dr Clarke McDermont. When the Civil War ended in 1865, McDermont helped Jordan and his family move to Dayton, Ohio and put him in contact with his father-in-law, Valentine Winters, an abolitionist who helped him secure work in the town. As it turns out, following the Civil War, the Anderson Plantation had fallen into complete disrepair, as is wont to happen when your entire workforce leaves pretty much all at once. Deeply in debt, in a desperate attempt to save himself from total financial ruin, Henry reached out to the only man he knew who not only had the skills needed for the harvest, but also potentially the clout to convince some of the other slaves to return for paid work- Jordan Anderson. The letter also promised that Jordan would be paid and be treated as a free man if he returned. 1870 – Census records show Jordon Anderson living in Ohio with Mandy, four children (Jane, Felix, William, and Andrew). Jordan will find work as a janitor, coachman, laborer and sexton. 1905 – The Dayton Daily Journal publishes Jordan Anderson’s obituary. He was 79 years old. As social studies professionals we are in the business of telling stories. History is drama. It’s full of character and conflict. Who is protagonist? Who has the starring role? What, when, and where does the plot turn? Does it have a happy or tragic ending? These are the problems historians deal with when they tell the story of America. Effective educators tirelessly weave endless narratives about America’s past into lesson plans designed to share what this collision of time and character ultimately created. emphasize that history is made by many nameless and faceless people—slaves, factory workers, farmers, suffragists, and others— are agents of historical change. 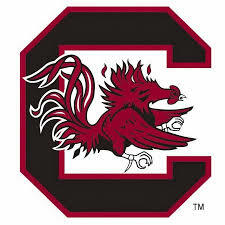 The University was founded as South Carolina College on December 19, 1801, by an act of the South Carolina General Assembly initiated by Governor John Drayton in an effort to promote harmony between the Lowcountry and the Backcountry. On January 10, 1805, having an initial enrollment of nine students, the college commenced classes with a traditional classical curriculum. The first president was the Baptist minister and theologian Reverend Jonathan Maxcy. He was an alumnus of Brown University, with an honorary degree from Harvard University. Before coming to the college, Maxcy had served as the second president of Brown and the third president of Union College. Maxcy’s tenure lasted from 1804 through 1820. The namesake town, Sumter, South Carolina, erected a memorial to Thomas Sumter (August 14, 1734 – June 1, 1832) a soldier in the Colony of Virginia militia; a brigadier general in the South Carolina militia during the American War of Independence, a planter, and a politician. After the United States gained independence, he was elected to the United States House of Representatives and to the United States Senate, where he served from 1801 to 1810, when he retired. Sumter was nicknamed the “Carolina Gamecock,” for his fierce fighting style against British soldiers after they burned down his house during the Revolution. Fort Sumter in Charleston Harbor, a fort planned after the War of 1812, was named for him. The fort is best known as the site upon which the shots initiating the American Civil War were fired, at the Battle of Fort Sumter. Founded March 21, 1865, the university was opened in 1866, under a charter granted by the Kansas State Legislature in 1864[ following enabling legislation passed in 1863 under the Kansas State Constitution, adopted two years after the 1861 admission of the former Kansas Territory as the 34th state into the Union following an internal civil war known as “Bleeding Kansas” during the 1850s. The University of Kansas is home of the Jayhawk, a mythical bird with a fascinating history. Its origin is rooted in the historic struggles of Kansas settlers. The term “Jayhawk” was probably coined about 1848. Accounts of its use appeared from Illinois to Texas. The name combines two birds–the blue jay, a noisy, quarrelsome thing known to rob other nests, and the sparrow hawk, a stealthy hunter. The message here: Don’t turn your back on this bird. During the 1850s, the Kansas Territory was filled with such Jayhawks. The area was a battleground between those wanting a state where slavery would be legal and those committed to a Free State. The factions looted, sacked, rustled cattle, stole horses, and otherwise attacked each other’s settlements. For a time, ruffians on both sides were called Jayhawkers. But the name stuck to the free staters. Lawrence, where KU would be founded, was a Free State stronghold. During the Civil War, the Jayhawk’s ruffian image gave way to patriotic symbol. Kansas Governor Charles Robinson raised a regiment called the Independent Mounted Kansas Jayhawks. By war’s end, Jayhawks were synonymous with the impassioned people who made Kansas a Free State. In 1886, the bird appeared in a cheer–the famous Rock Chalk chant. When KU football players first took the field in 1890, it seemed only natural to call them Jayhawkers. How do you draw a Jayhawk? For years, that question stumped fans. Henry Maloy, a cartoonist for the student newspaper, drew a memorable version of the ‘hawk in 1912. He gave it shoes. Why? For kicking opponents, of course. Stephen F. Austin is a public university located in east Texas. Founded as a teachers’ college in 1923, the university was named after one of Texas’s founding fathers, Stephen F. Austin. Its campus resides on part of the homestead of Thomas Jefferson Rusk. Stephen F. Austin is one of four independent public universities in Texas (i.e., those not affiliated with one of Texas’s six university systems).